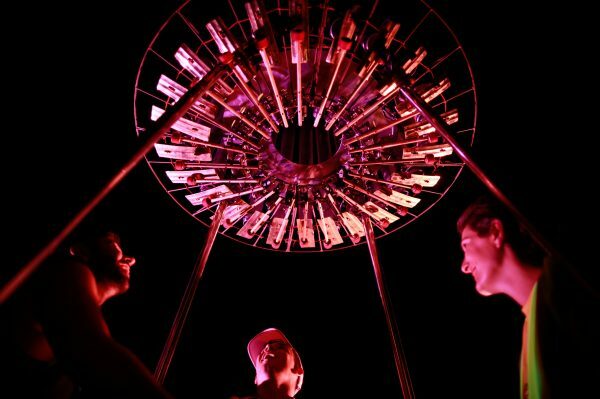 Resembling a suspended organic hive structure, The Hive is a sculptural instrument made from parts of Gamelan bars (a form of percussive Indonesian music using gongs and xylophones), with concept by Indonesian artists Ikbal Lubys and Tony Maryana. 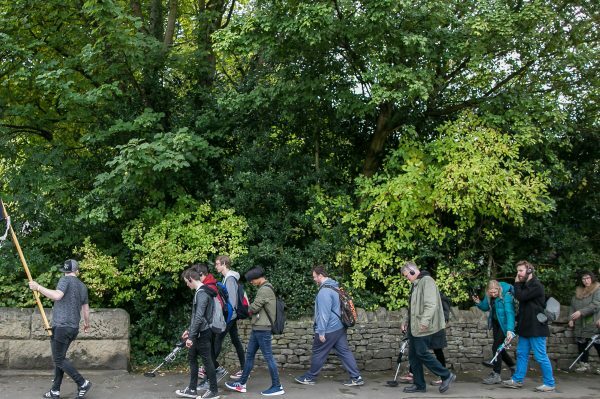 Heavy Metal Detector is a cross-between a walk, workshop and performance. 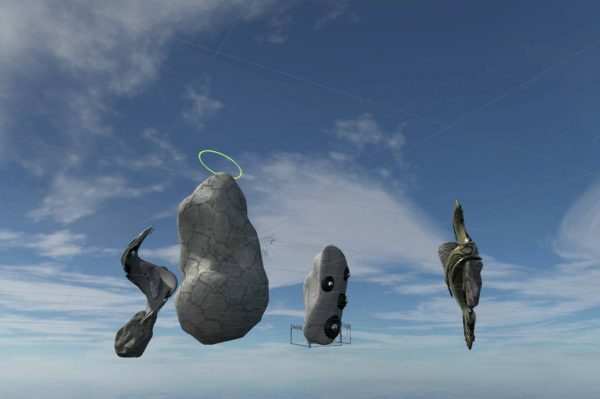 A relational public art project, that sits somewhere between metal music and sites of historic importance, this feat of geomancy gives members of the public the opportunity to become metal-detectors for the day, with a twist. We Dwell Below is a fun-filled vertical virtual reality trip underground. 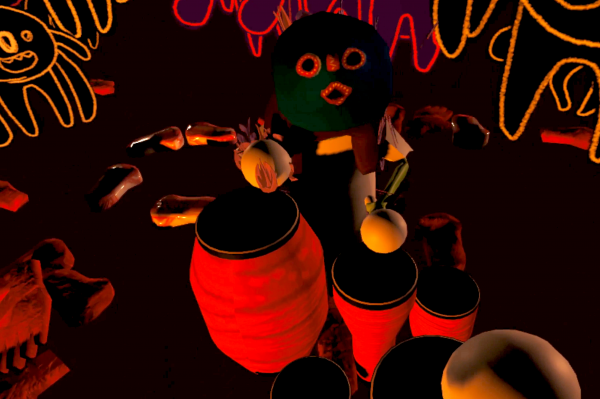 Become a cave dweller in this comical one-off VR experience and prepare to traverse this fantastical subterranean world, exploring an alternative habitat though the act of chewing. 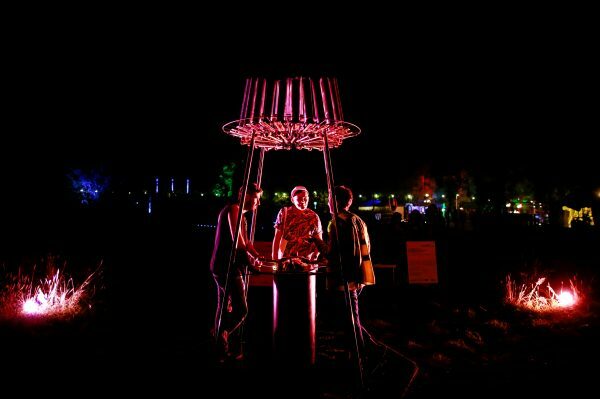 After premiering at AND Festival 2017, we are excited to announce that The Hive returns to be part of bluedot festival’s 2018 art programme. 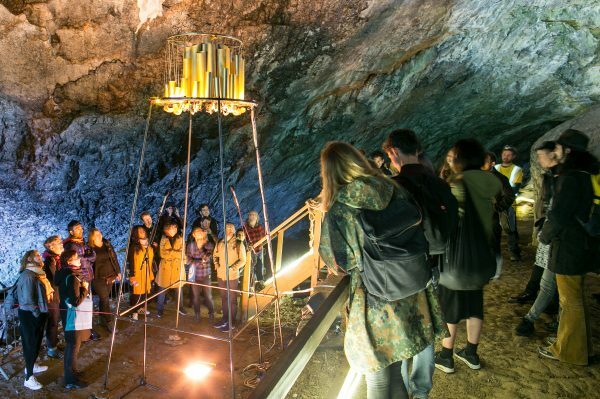 Resembling a suspended organic hive structure, The Hive is a larger-than-life resonator, with vibrating chimes for visitors to interact with, creating new compositions. Details of the work will be released here shortly. Track our journey at #COSMOS18. 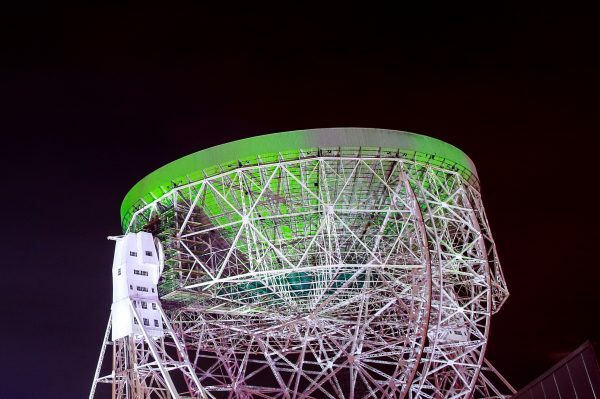 During bluedot festival the Lovell Telescope will be receiving radio signals from deep space whilst pointed at the zenith, directly overhead. After premiering at AND Festival 2017, My Wall is your Filter Bubble returns to the UK, to be part of Barnaby Festival 2018 in Macclesfield. My Wall is Your Filter Bubble is an Augmented Reality (AR) exhibition which takes a critical look at the borders and silos we are confronted with in our online lives. It is with great pleasure we announce Addie Wagenknecht as the COSMOS artist for 2018. 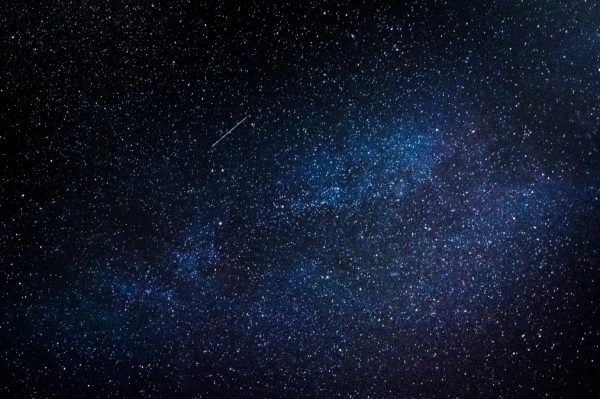 Wagenknecht will be collaborating with Jodrell Bank astrophysicists through a series of research residencies in May and June to create a new artwork to inspire audiences. After its success at AND Festival 2017, the augmented reality exhibition My Wall is Your Filter Bubble toured to Laboratorio Arte Alameda, Mexico in 2018….